Barre chords can be very tricky, when you're first starting out, so we'll take it nice and slow. 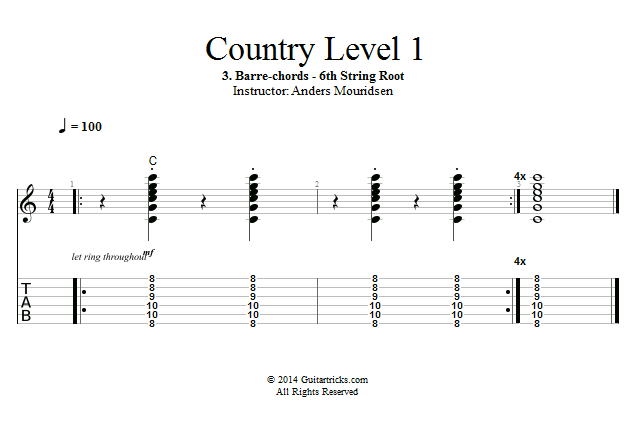 In this first lesson we'll breakdown and practice the barre-chord with the root on the 6th string. 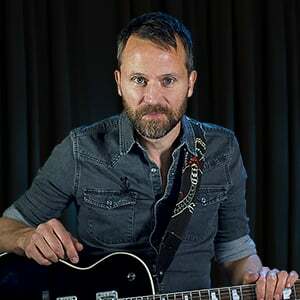 Barre chords are hardest when you have to hold them down and make them keep ringing, so in this lesson we'll do short strums on beats 2 and 4, aka "The back beats" and use that approach in a simple one-chord example.